In his book, Kynes develops a new methodology for identifying and interpreting allusions in biblical literature and then applies his methodology to the book of Job. He finds that allusions to the Psalms play an important role throughout Job’s dialogue with his friends. Job parodies several psalms, both to strengthen his appeal against God and to defend himself against his friends. The friends, then, use those same psalms as proof texts to attack Job. In this debate, it is actually Job’s parodies that demonstrate the greater piety, because Job has such a deep faith in God’s goodness and justice that he is willing to fight God himself, joining a broad tradition in the Hebrew Bible of those who dare to challenge God to act justly. 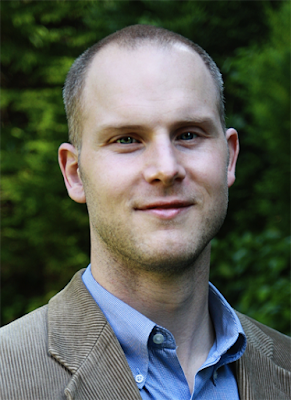 Kynes joined Whitworth’s theology faculty in 2013; he was attracted by the institution’s unique and distinctive place in the current landscape of higher education in the U.S. He says he enjoys the academic environment the university provides its students and faculty, and that Whitworth has been a wonderful place toteach as he as continues his research. Kynes says that now is also an ideal time for those interested to immerse themselves in the study of theology, especially college students. “A human studying theology is a bit like a fish studying water,” Kynes says. “In him we live and move and have our being,’ as Paul says in Acts 17:28. Theology is all around us. Like the fish, we may not always realize we are surrounded by it, or how important it is to our existence, but all our decisions to some degree, and many to a very large degree, are shaped by how we answer the questions theology deals with: Where did we come from? Who are we? How should we treat others? Where are we going?" Kynes holds a Ph.D. from the University of Cambridge, an M.Litt. from the University of St. Andrews, an M.Div. from Southern Baptist Theological Seminary, and a B.A. from the University of Virginia. Debbie Stierwalt, theology program assistant, Whitworth University, (509) 777-3391 or dstierwalt@whitworth.edu.